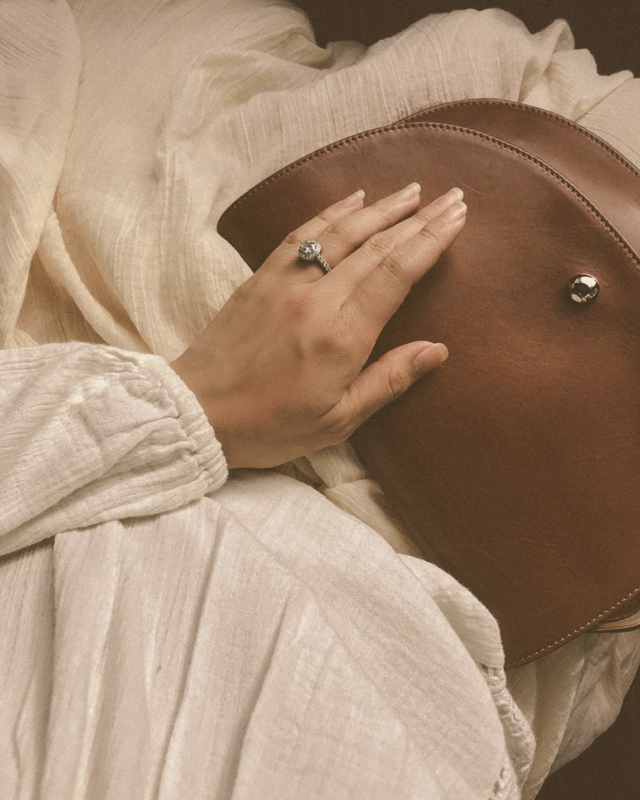 If the engagement trends of 2018 told us anything, it's that unconventional ring styles are on the rise, and it seems 2019 will be no different. Unique center stones are one of the most prominent ring trends we’ve been seeing brides-to-be choose over and over again. Just in case you plan on getting engaged soon, or if you’re searching for more styles to send over to your S.O. 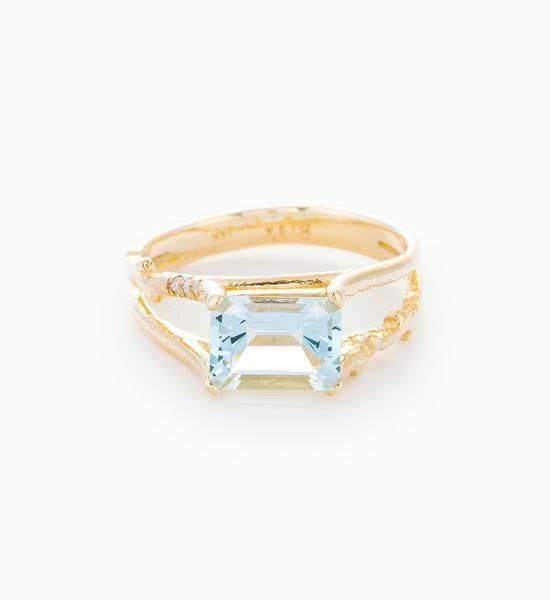 via not-so-subtle hints, you’ll definitely want to check out these aquamarine engagement rings. Sure, you could always opt for your traditional white diamond rings, or even the trending sapphire rings (whether they’re traditional blue or another color), but there’s something about the subtle shade of pale blue that feels undeniably beautiful. Trust us, you will truly never get tired of this style. Not to mention, your ring could also be your “something blue” during your wedding. Food for thought. As you start the search for the perfect engagement ring, we’ve gathered the most stylish ones featuring aquamarine that will feel as gorgeous as the woman wearing them. Check them out below now. We're loving the cluster of stones here. You won't be able to stop looking at this. Let the two gemstones on this ring be a symbol of your relationship. Clearly, aquamarine pairs perfectly with yellow gold. A vintage-inspired ring will always have the perfect amount of character to it. Now, see more blue stone engagement rings you'll soon over.